...a book that should be carefully read and considered by Orthodox Christians in America... an intellectually honest look at particular hotly-debated issues... -Richard Barrett OrthodoxHistory.org The American Orthodox Christian presence has been declining in size over the past few decades, even until now. Orthodox parishes are often criticized for being unable to grow spiritually and in numbers. Education, charitable works, outreach to the community, and other signs of vibrant, healthy communities of faith languish, if they exist at all. Meanwhile, fewer and fewer people participate in the liturgical life of the Church, supposedly the cornerstone of Orthodox faith and witness. The cause for these endemic problems is often laid at the door of ethnophyletism, xenophobia, an extremely parochial and self-serving attitude in Orthodox parishes, lack of faith education, and other ills. In this book, Fr. Nicholas traces the roots of the current distressing situation in American Orthodoxy to another, more radically fundamental issue: the fact that virtually all of the original parishes in America were founded on a congregationalist structure. He argues that this parish structure, radically opposed to Orthodox ecclesiology, is what has allowed and even encouraged the attitudes and problems that continue to plague Orthodox Christianity in America. 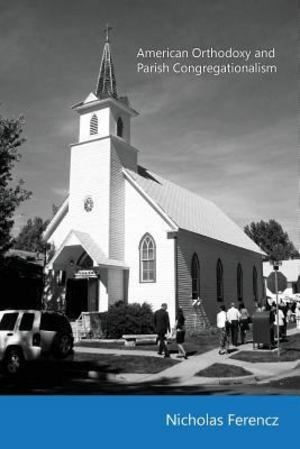 His book delineates the factors that have influenced the growth of congregationalism in Orthodox parishes. Fr. Nicholas contends that if there is to be a serious attempt to correct the present, resulting in a reasonable assurance that the American Orthodox presence will have a future, then it is first necessary to understand the past.